S. O., A., G. T., O., A.O. (Nigeria), O. (2017). Comparative Assessment of Total Hydrocarbon Content and Bioaccumulation of Heavy Metals In Sarotherodon Melanotheron at Atlas Cove Area and Okobaba of Lagos Lagoon. Iranian Journal of Energy and Environment; previously called: Iranica Journal of Energy & Environment, 8(2), -. Ayoola S. O.; Olorunsanmi G. T.; Oke A.O. (Nigeria). "Comparative Assessment of Total Hydrocarbon Content and Bioaccumulation of Heavy Metals In Sarotherodon Melanotheron at Atlas Cove Area and Okobaba of Lagos Lagoon". 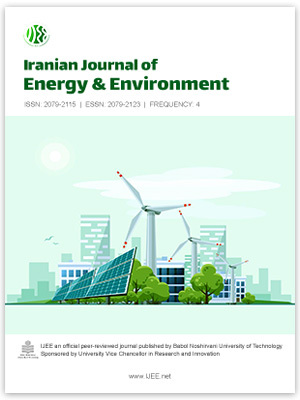 Iranian Journal of Energy and Environment; previously called: Iranica Journal of Energy & Environment, 8, 2, 2017, -. S. O., A., G. T., O., A.O. (Nigeria), O. (2017). 'Comparative Assessment of Total Hydrocarbon Content and Bioaccumulation of Heavy Metals In Sarotherodon Melanotheron at Atlas Cove Area and Okobaba of Lagos Lagoon', Iranian Journal of Energy and Environment; previously called: Iranica Journal of Energy & Environment, 8(2), pp. -. S. O., A., G. T., O., A.O. (Nigeria), O. Comparative Assessment of Total Hydrocarbon Content and Bioaccumulation of Heavy Metals In Sarotherodon Melanotheron at Atlas Cove Area and Okobaba of Lagos Lagoon. Iranian Journal of Energy and Environment; previously called: Iranica Journal of Energy & Environment, 2017; 8(2): -.